One of the more delightful Carmageddon-related discoveries in Los Angeles this past weekend was from artist Lauren Horowitz, who set up a Road Rage Rest Stop art installation on Venice Boulevard, right outside the Eat Real Fest in Culver City. 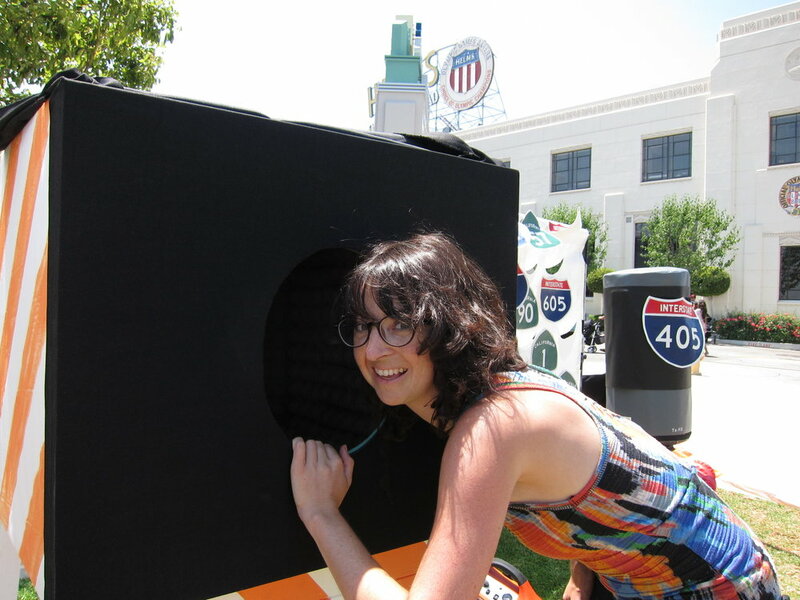 Participants could choose the sign of their freeway of choice to hit on a punching bag and could shout at traffic images in the screaming box (that's Lauren at the box). 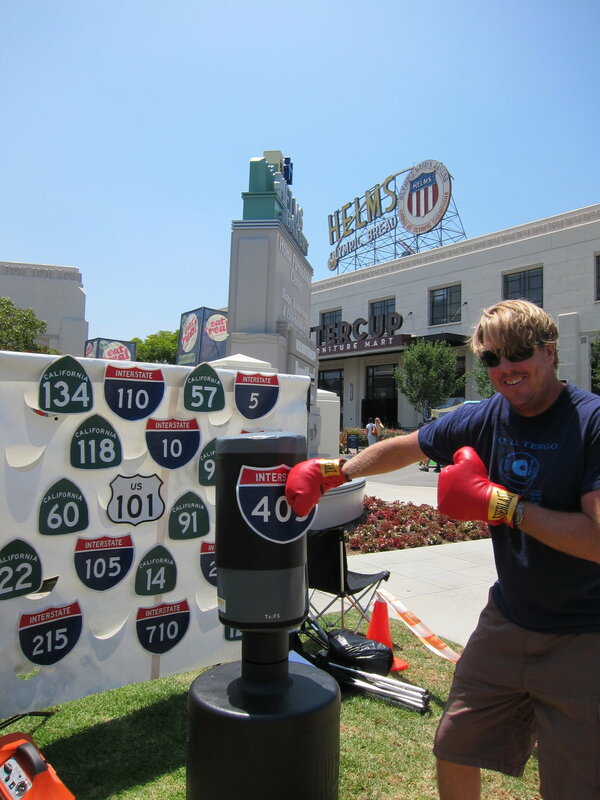 The exhibit for expressing rage at traffic in LA was playful, but we all know that traffic and transportation woes in LA (and across the country) are very real; we have a serious need to reduce carbon emissions and for better public transit. Now that the 405 freeway is open again (until next year's closure for work on the other side), the buzz on Facebook and Twitter and at water coolers in offices around the city is about how great it was that so many people kept their cars off the roads--either staying close to home or choosing alternative means of transportation. Those transportation alternatives happen to be cleaner, greener ways of getting around--good news and hopefully something Angelenos will consider even without warnings of a Carmageddon. For those in Los Angeles interested in alternative transportation: we're co-hosting an open forum on biking sharing with the city of Santa Monica, to discuss the possibility of starting a program here and to test-ride bikes from a bike share operator this Wednesday, July 20, from 6-9 PM, at the Santa Monica Civic Auditorium.